Last Saturday night I finally managed to hit up the Saturday Night Truck Stop. I got there a lil early because I didn’t want to wait in line too long and I was STARVING, probably because it starts at 10 pm. 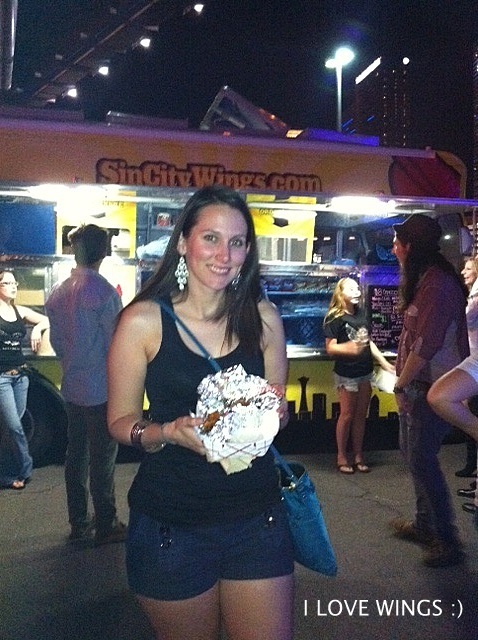 I was glad I got there early because I was the first person in line for Sin City Wings, which is a new food truck in Vegas. 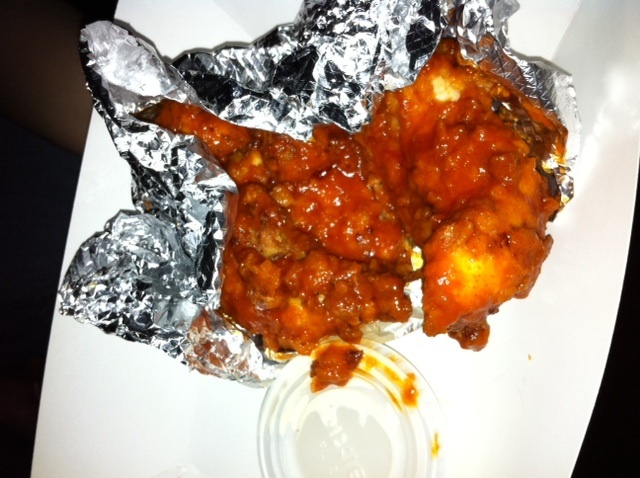 There aren’t a lot of wing places in Vegas, or at least ones that aren’t chains. But you don’t want to read about all this, you want to see pics of the food, so let’s get started. I was sooo excited to get these bad boys. Up close and personal with my wings. They give you a pound of wings! The sauce was a perfect heat for me, I’m not big on spicy and getting messy while eating, but I really went for it. I may have had wing sauce all over my face, but these wings were worth it. Juicy and cooked perfectly. I can’t wait to try out different flavors in the future. Jen got the chicken tenders. I’m going to direct quote on her opinion of them, “Oscar Goodman wings: as spicy as can be w/o losing flavor (unlike BW3’s Blazin). juicy chicken tenders. not too much breading. teary eyes & runny nose = winner. not too heavy ranch dip.” Jen knows her food and her spicy sauces and she really liked these. 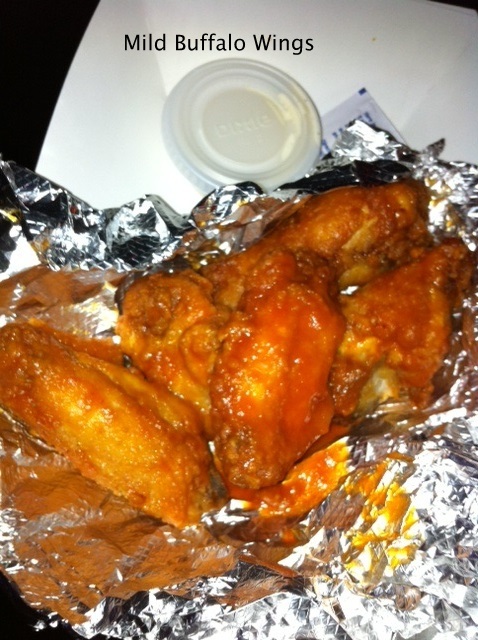 Overall I would say that Sin City Wings is awesome! They were super nice and their food was GREAT! I can’t wait to keep trying them out. If you’re looking to find where they’re at in Vegas, here’s links to their website and twitter. 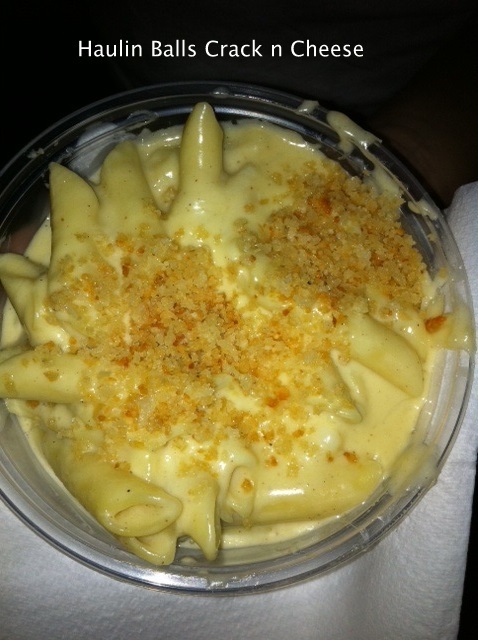 Their mac and cheese is one of my favs and Melissa really enjoyed it! 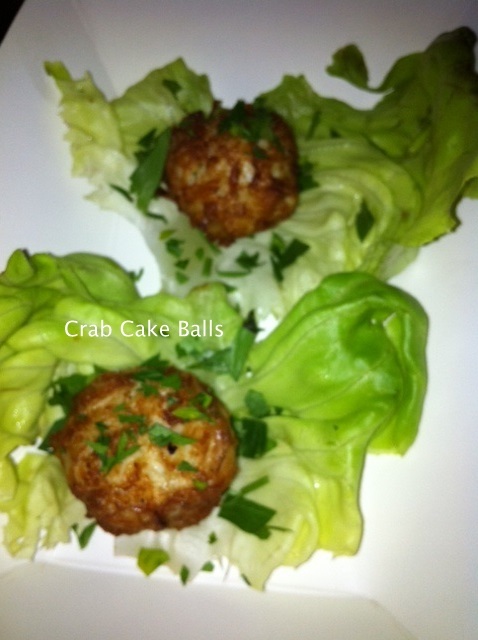 Crab Cake Balls. I’m a plain girl, but they did offer tartar or cocktail sauce. These were amazing! Light with great flavor. Our last stop of the night (food wise) was Fukuburger. 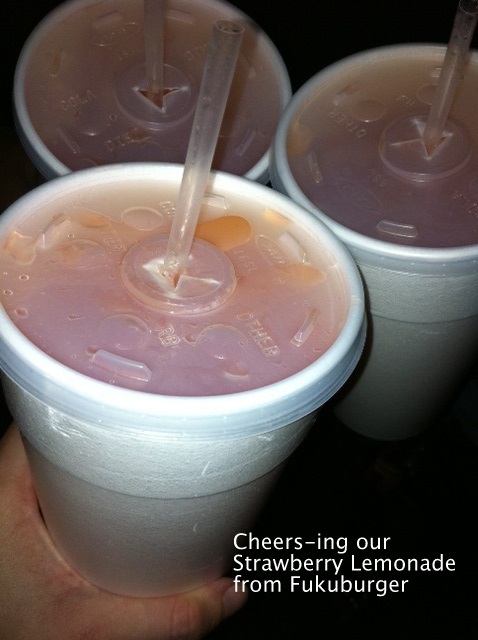 Their strawberry lemonade is perfect! Not too tart, not too sweet and totally refreshing in the Vegas heat (seriously 100 degrees at 10 pm). 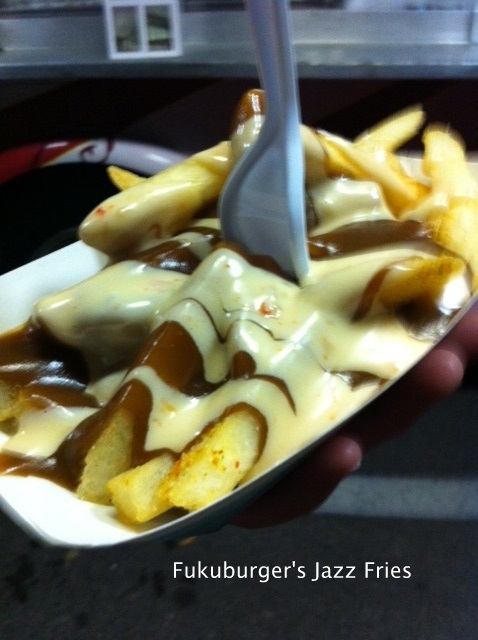 Jazz fries which are fries with yum sauce and gravy. She said the sauces are garlicy, creamy with a roasted kick. I’ve previously featured Haulin Balls and Fukuburger before so you can check out those posts for more info on them! We also checked out the Haute Chix Fashion Truck, but it deserves it’s own post so be on the look out for that this weekend sometime. I’m hoping to get out to one of the truck events tonight. All the food looks good!